is back for yet another night of festive intoxication and chaos! advanced copies of their long-awaited debut LP will be available on the night!! 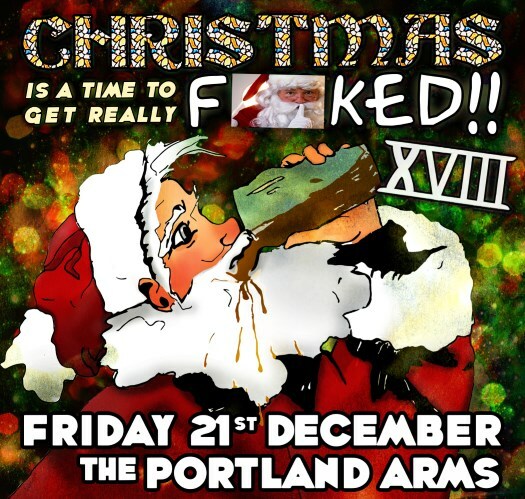 £5 advanced tickets available exclusively from The Portland Arms’ website! post us a “seasonal greeting” on the Facebook event page to get on the guest list for cheap entry, best post wins a free pint! FREE mulled wine for anyone who shows up early enough! FREE compilation of local music for everyone who attends!